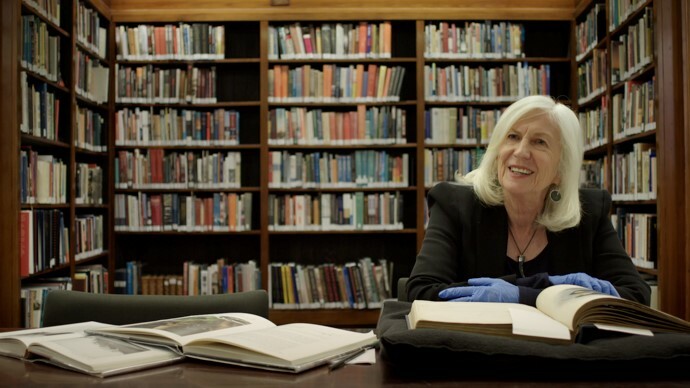 Artefact is an exciting six part series presented by Dame Professor Anne Salmond (pictured below), which takes viewers on adventures through time with a focus on artefacts and taonga at the heart of gripping and often surprising historical dramas. A number of Ngāi Tahu people participate in this series, including a UC doctoral graduate. Artefact also shines the light on contemporary themes and challenges viewers to think about what sort of Aotearoa we want to leave our children. Created by Greenstone TV, for Māori TV, Artefact connects today’s New Zealanders with our ancestors’ experiences and aspirations, through the powerful stories of the artefacts that have survived them. In this episode we find taonga that open the window to our Pacific voyaging tradition – a feat likened to space travel which saw Polynesians navigate their way across the Pacific to Aotearoa. Dame Anne travels around our country as well as England to find taonga and people to tell these stories of voyaging and adventure. A group of Toi Hauiti whānau are reunited with the voyaging tipuna Paikea who is housed in the American Museum of Natural History in New York City. Dame Anne introduces us to taonga that shine the light on the remarkable innovations Polynesian settlers made once they reached Aotearoa. Their adaptations to new resources meant that they became tangata whenua in Aotearoa – Māori. The taonga we find show innovations in all things – clothing, gardening, stone tools and includes a map that illustrates a remarkable and intimate knowledge of the land as well as a distinctively Māori world view. From the very first encounters between Māori and Europeans, gifts were exchanged, signaling a desire to forge relationships and strong connections that would last over time and generations. Dame Anne finds taonga that tell these stories: they include hoe given to crew of the Endeavour; Hongi Hika’s korowai which he gave to King George; a medal given by Governor King to the northern rangatira Te Pahi and gifts exchanged between Ngāti Huia and the Onslow family. Clothing is more than adornment, clothes can carry political messages, they often signal identity and status and can be used to satirise. Dame Anne leads us to taonga that tell stories of remarkable people and moments in time where clothes have provided powerful statements. A kaitaka that literally saves the life of a young boy; Tame Iti speaks about the way clothes can carry a political message. The extensive clothing collection of Whetu Tirakatene-Sullivan demonstrates how she used clothes to make strong political statements. Dame Anne finds taonga that tease out the story of music and musical instruments in Aotearoa. From earliest taonga puoro, to introduced Western instruments, these taonga tell the story of traditional music nearly silenced, a new music arriving and the way two musical traditions have intersected. The taonga in this episode include a magnificent carved Steinway grand piano, an ancient pūtorino that hasn’t been played in living memory, a treasured Gibson Les Paul guitar and a website that celebrates the traditional percussive instrument – the poi. Beginning with some remarkable Huia bird specimens this episode challenges us to learn from our past and to think carefully about the sort of Aotearoa we want to leave our children. Taonga featured include huia birds and feathers, and living taonga such as Whanganui River, Te Urewera and the remarkable Te Kura Whare / Living House in Taneatua. How can we learn from our past and the tragic story of the Huia bird. What are the exciting possibilities for the future? A fundraising screening of the fabulous award-winning film ‘Hidden Figures’ will be held in Christchurch on 13 February, 6.00 pm at the Riccarton Hoyts. Book your tickets now! This event is a fundraiser to support a New Zealand woman in physical science, engineering or mathematics via a one-off three-year postgraduate scholarship to be administered by the Association for Women in Science (AWIS). A similar event in Auckland recently raised enough for the first two years, and the aim of this event in Christchurch is to generate enough funds to support year three. You can book your tickets and/or make a donation via Eventbrite. If you’re unable to attend the event and you’re keen to contribute, please donate by following the links on the Eventbrite page. Please share among your networks! If you haven’t heard about ‘Hidden Figures’ yet, you may enjoy a local review. This event is supported by the College of Science. 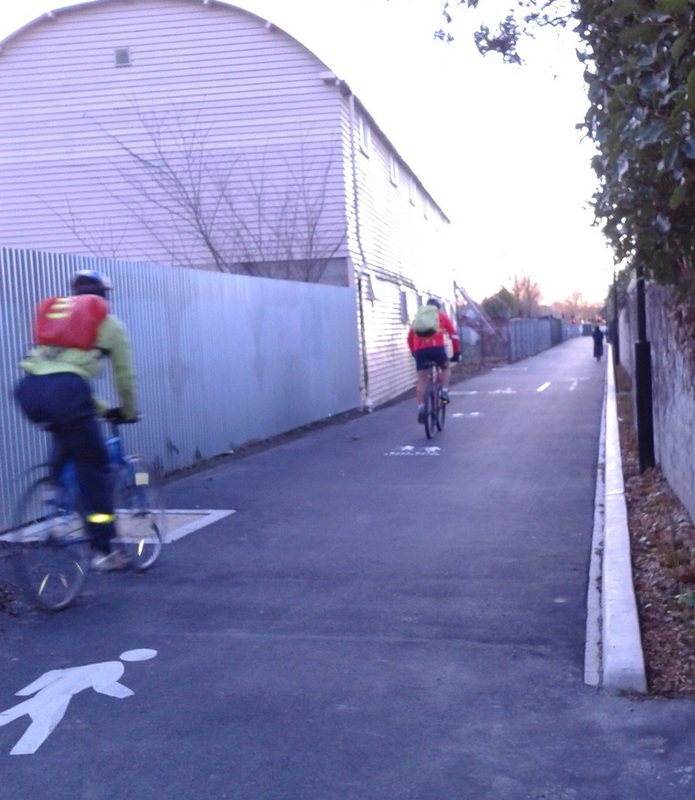 Another stage of the Uni-Cycle cycleway has been completed. This includes the shared pathway (four metres wide) through north Hagley park through the golf course to Armagh Street, and the pathway from Straven Road to Kilmarnock Street beside Boys’ High School. The on-demand crossing for cyclists and pedestrians has also been completed. 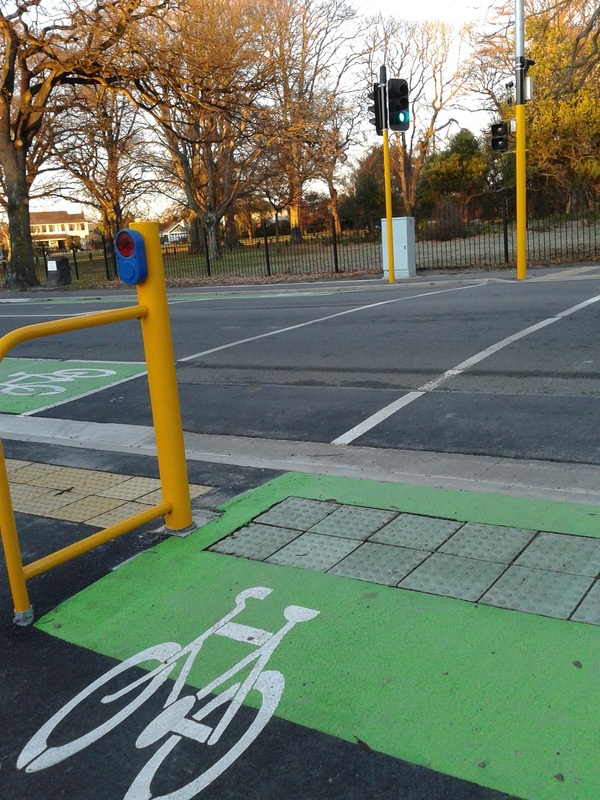 This crossing allows cyclists travelling towards UC to turn left and travel via Riccarton Bush – Pūtaringamotu to UC. Or cyclists can turn right and travel to UC via Kahu Road. The City Council has completed consultation on the next stage of the Uni-Cycle, from Pūrtaringamotu to Ilam campus and recommendations have gone to the local community board for a decision. The final stage of the Uni-Cycle is from Ilam to Dovedale which is intended to be completed by the end of 2016. You can see the details about this stage on the Christchurch City Council’s website. I am really enjoying travelling via the Uni-Cycle as part of my commute to UC and am looking forward to this project being completed this year. One of the most significant events in the Māori calendar is Matariki, the indigenous New Year. Matariki can be translated in two ways – Mata Riki (Tiny Eyes) and Mata Ariki (eyes of God). The Matariki star cluster can be seen from all parts of the world and is commonly known as Pleiades. This star cluster disappears below the horizon in April and reappears in the north-eastern pre-dawn sky in late May or early June, marking the start of a new year. Celebrations most often occur at the next new moon after Matariki has risen. Mr Rakihia Tau, the late Upoko of Ngāi Tūāhūriri, spoke to Mr Richard Liddicoat of the Christchurch City Council in July 2008 about the significance of Matariki, from a southern Māori historical perspective as well as whānau and personal perspectives. This kōrero was recorded and is able to be read and listened to via this link. This korero is an exceptional explanation of the importance of Matariki as the start of a new year; noting the changes in the natural world, particularly the changes noted by food gatherers and hunters. It is the time for planning the next year’s activities; a time for wānanga; a time for hui and strengthening of whānau and hapu social bonds. Today Matariki means celebrating the unique place in which we live and giving respect to the whenua we live on. It is a special time to celebrate the customs, art and uniqueness of Māori culture. It is the coming together of whānau and friends and of sharing each other’s skills, achievements and history. There is storytelling, song and dance, carving and weaving, ancient ceremonies and passing on of knowledge and history. Throughout Matariki we learn about those who came before us: whakapapa, whānau, iwi – our history, our family, our ancestors. Matariki signals growth. It’s a time of change, a time to prepare and a time of action. During Matariki we acknowledge what we have and what we have to give. Matariki celebrates the diversity of life. It’s a celebration of culture, language, spirit and people. The new wharenui at Tuahiwi which the late RakihiaTau was instrumental in creating.